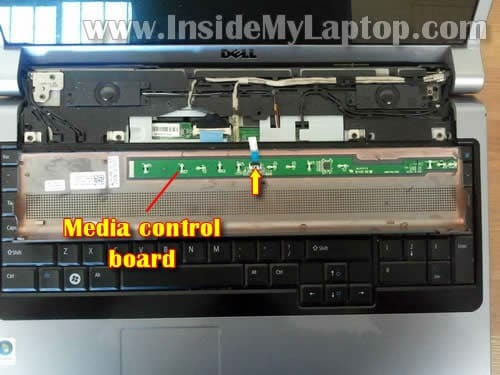 In this guide I explain how to disassemble a Dell Studio 1735/1737 laptops. I’m taking it apart in order to replace failed DVD drive. 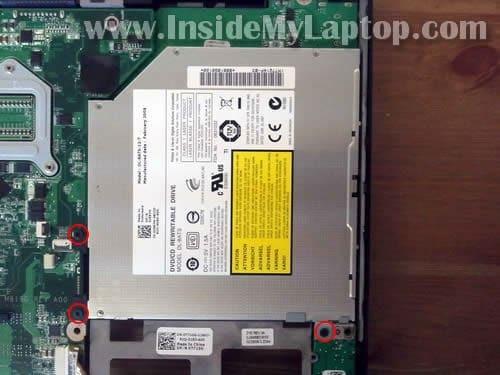 Dell Studio 1735/1737 comes with a slot-load DVD drive which is mounted inside the case. It cannot be removed until you remove the top cover assembly. The guide might work for other Dell Studio 17xx models. Loosen eight screws securing the bottom cover. 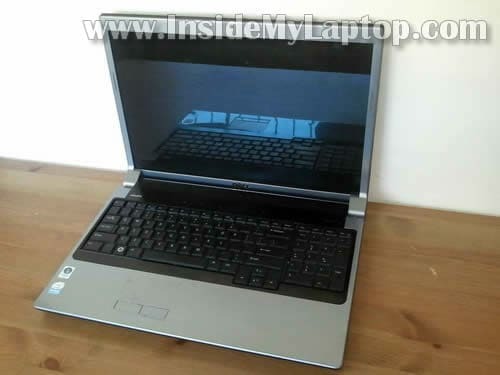 Under the cover you’ll get access to laptop hard drive, both memory modules, wireless card, CMOS battery, heatsink. It’s not necessary to remove all these parts (except the HDD) for the purpose of my disassembly, so I’ll leave them connected. By the way, this model can take 4GB RAM max. It means you can install up to 2GB RAM module into each slot. You should use PC2-6400 DDR 2-800 memory modules. Remove one screw securing the media control board cover. This screw located in the battery compartment. Lift up the top side of the cover as it shown on the picture below. 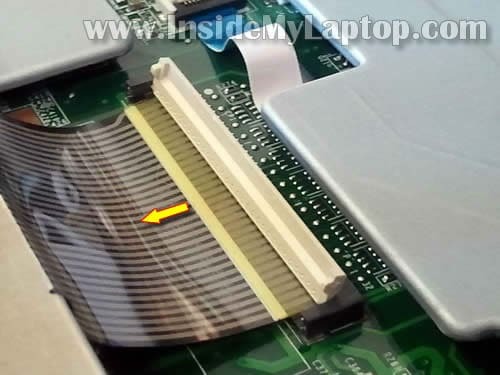 Be careful, there is a cable connecting this cover to the motherboard. Carefully turn the cover upside down and place it on the keyboard. Now you can disconnect the cable from the media control board. In order to disconnect the cable, you’ll have to unlock the connector. 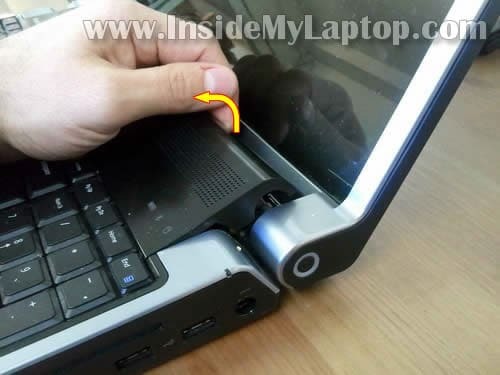 The locking tab opens up like a hinge at a 90 degree angle. On the following picture the connector show in the unlocked position. 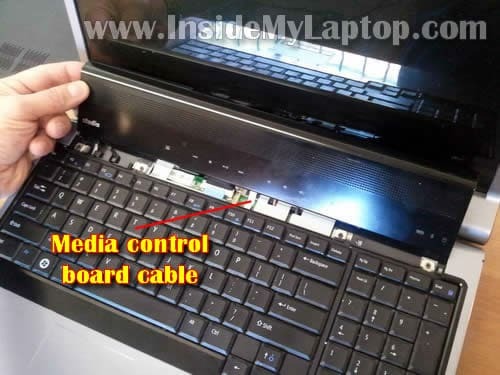 Remove the media control board cover. Start removing the keyboard bezel. 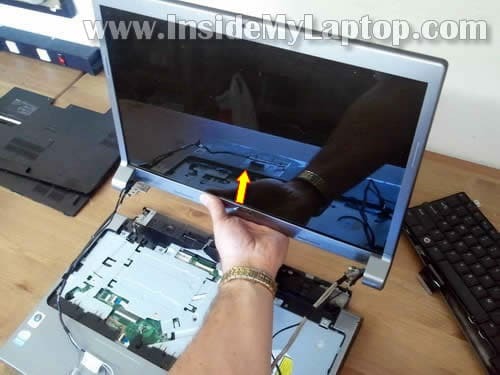 Lift up one side of the bezel and continue removing it with your fingers. 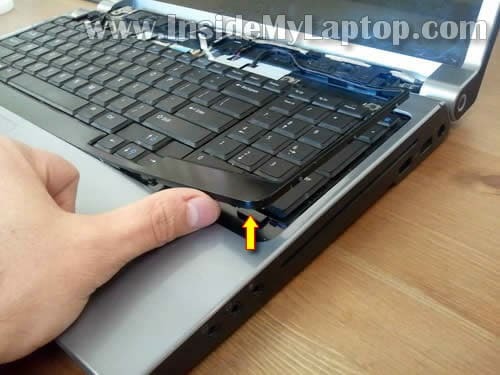 Carefully lift up the keyboard and place it upside down on the palmrest. It’s still connected to the motherboard. Before you can remove the keyboard, you’ll have to disconnect the cable from the motherboard. The connector opens up like a door hinge at a 90 degree angle. In my Dell Studio 1737 I had only wireless card installed. The wireless card antenna cables have to be disconnected. 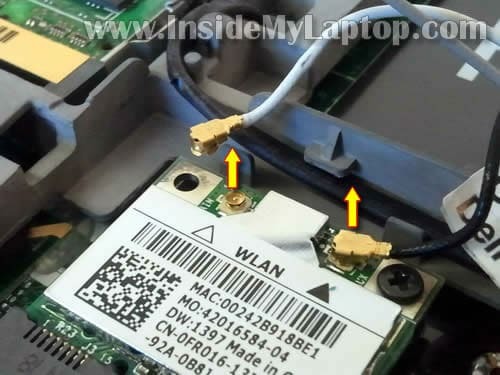 If you have WWAN or WPAN cards installed, you’ll have to disconnect cables from those cards too. In order to disconnect an antenna cable for the card simply grab the gold connector with your fingers and lift up. Pull antenna cables though the openings in the top cover. Disconnect three more cables from the motherboard. Remove all screws securing display hinges. Carefully lift up the display assembly and separate it from the base. 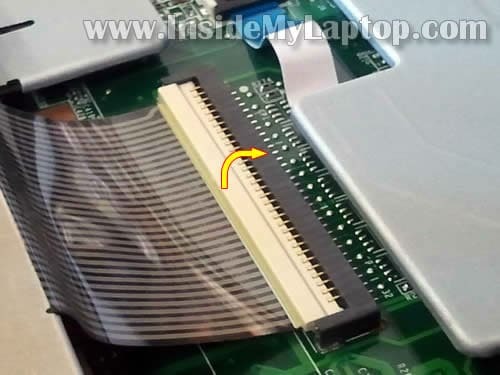 In the next post I explain how to remove the screen with inverter board. The hard drive also has to be removed. Remove four screws securing the HDD assembly. 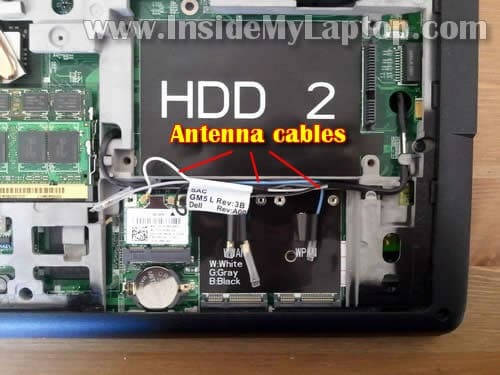 Disconnect HDD cable from the motherboard. Lift up and remove the HDD assembly. My Dell Studio 1737 had a regular 2.5″ SATA hard drive installed. Disconnect all cables from the motherboard. I didn’t have the finger scanning device installed but if you do, you’ll have to disconnect it too (green arrow). Now we can access and remove the DVD drive. By the way, it order to remove the cooling fan, you’ll have to remove the motherboard first. The fan mounted UNDER the motherboard. Remove one screw securing DVD drive on the bottom. Remove three more screws on the top. Now you can lift up and remove the DVD drive assembly. When you replace the DVD drive, you’ll have to transfer mounting brackets to a new one. Thanks so much! Just finished and everything is working fine. It’s as if they designed it so that you can’t do the work yourself. Fortunately there is this website. It’s as if they designed it so that you can’t do the work yourself. I don’t know why they made it so difficult to replace. Thanks a million for these instructions, I couldn’t get the primary hard disk out because of the case, and now realise I should have kept it in the caddy to remove it easily, doh!! Thanks for the help. Made changing the keyboard a simple task. Unfortunately, Dell doesn’t mention which screws to use in the service manual. Two screws should be enough to secure the hard drive. 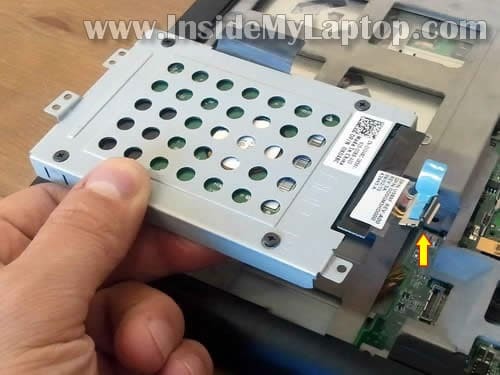 You can remove two screws from the primary hard drive and use it for the secondary hard drive. This was a big help. Helped me finish the job efficiently, right down to the last screw. Thanks for the help! Very helpfull. some points not shown but were easy to figure out . This will work well if you take your time and don,t force anything. Thanks for the instructions. 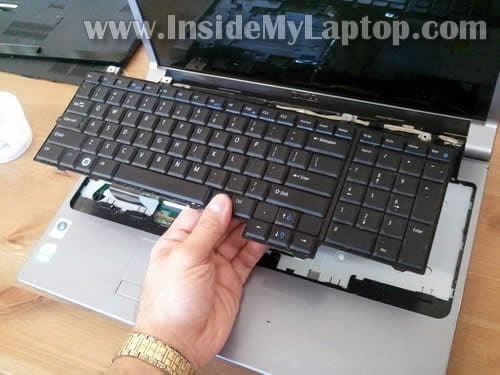 Dude thanks so much for all this info, my dog jumped on my laptop and the keyboard broke. having no idea i started searching and found you.. without you i could have never fixed my computer… thanks so much for the info.. you rock for sure. Can this process be used to replace the DC adapter as well? Just wanted to thank you so very much for the help. Now to see if you have something on AC jack for same model. Now to see if you have something on AC jack for same model. 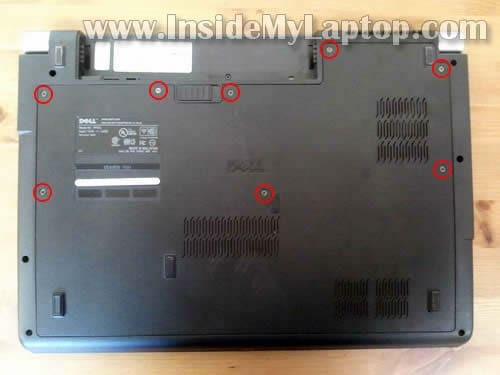 Here’s service manual for Dell Studio 1735/1737 laptops. 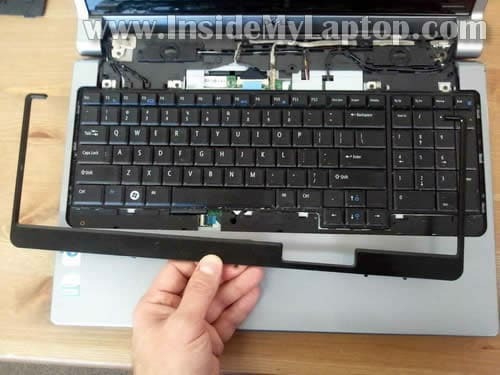 The manual has step-by-step laptop disassembly instructions. The power jack in this model located on the charger board. If you have soldering skills, you can desolder the failed jack and solder a new one. Or just replace the whole charger board. Thanks for a very helpful sequence of instructions. One tiny thing missing: when you remove the keyboard there is a small secondary 5-pin cable on the right that needs to be removed. Thanks. I don’t know if I forgot to mention this cable or you have a different keyboard. It’s possible your keyboard has backlight and it requires secondary cable. Not all models come with backlight keyboard. First of all, try reinstalling the DVD driver. 1. Go to the Computer Management (Right click on Computer icon and then Manage). 2. Go to the Device Manager. 3. Find CD/DVD-ROM drives line and and expand it. 4. Now right click on the DVD drive and Uninstall it. 5. Reboot the laptop and let it detect the drive and reinstall the driver. I think this might fix the problem. It did fix the same problem for me a couple of times. If this doesn’t help, probably there is a problem with the drive itself. I guess you’ll have to replace the drive. Hi, how do I take out the fan to clean it? At which step? Do I have to disassemble the screen from the main body for this? 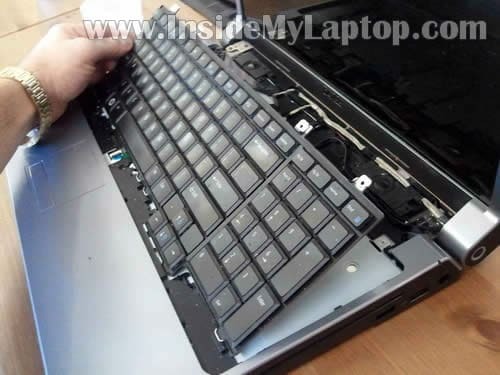 Also, which other parts of the laptop gets exposed to dust and need to be cleaned? I have never opened it. Thanks a lot. Great website! Hi, how do I take out the fan to clean it? At which step? Do I have to disassemble the screen from the main body for this? You don’t have to remove the fan in order to clean it. 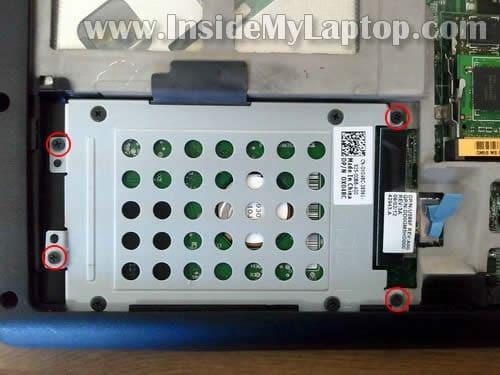 Just remove the back cover as it shown in the step 2. Buy a can of compressed air or use air compressor and blow air into the fan until all dust is gone. This should do it. Just don’t forget to block fan while blowing air into it. If you don’t block the fan it will spin like crazy and you can damage the bearing. Useful guide. I managed to replace my screen, only thing is now when I close he lid the computer doesn’t seem to detect that it’s closed and go into standby. Any idea what I’ve not reassembled correctly? any idea where the ‘panel closed’ detection switch is located? The back light does not seem to be engaged (the image on the screen is incredibly dim) and i’ve already replaced the LCD so i’m thinking that this switch might be the issue if it’s stuck in the depressed position. I’m waiting on an inverter in the mail to test that as well. Failing either of these I guess it’s just the motherboard. I managed to replace my screen, only thing is now when I close he lid the computer doesn’t seem to detect that it’s closed and go into standby. Any idea what I’ve not reassembled correctly? 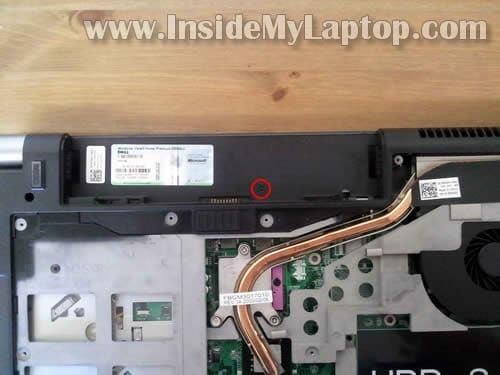 These days many laptops have magnetic lid close switch – a small piece of magnet inside the display panel activates the switch which is located inside the laptop base. When you close the display the magnet goes close to the switch and it “knows” the display is closed. It’s possible you accidentally removed the magnet while replacing the screen. I happened to me before. Take a look at the old screen. Maybe the magnet is still attached to it. any idea where the ‘panel closed’ detection switch is located? Mot sure 100% but most likely it has magnetic lid close switch. 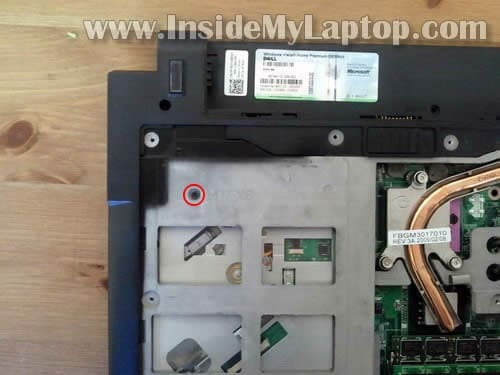 A small magnet (located inside the display panel) activates the switch (located inside laptop base) when the display is closed. Thanks for this article. I have only problem with step 4. I used to less power I have and I wasted 30 min, because I was afraid, that I will demage dell. I have only problem with step 4. I used to less power I have and I wasted 30 min, because I was afraid, that I will demage dell. It’s better to “waste” 30 mins and remove it properly that break it in 1 minute. Please can you tell me if I can install a SSD as the main drive and is this a SATA 1 or 2 connection? Thanks for the tip, I’ll give it a try when I get a chance tomorrow evening. I’ve searched a ton but can’t find a cable on Internet. I think you have bad optical drive and it has to be replaced. 1. Open Office disc to see the content. 2. Transfer all files and folders to a USB flash drive. 3. Plug this drive into the laptop with failed optical drive and click on setup. 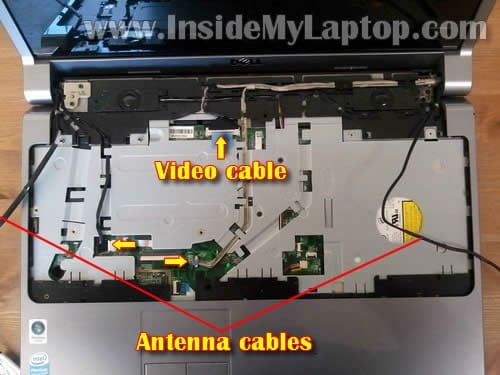 Note1:if you have removed the media control board cable more than 5 times in the past i suggest you put twists in it otherwise when you remove it more times in the future you will require a new cable because the cable has been kinked too much. now i gotta find a new 10 conductor 7mm wide 250mm long cable. Note2: i opened the drive up and found the drive lost a tooth in the eject mech and does not seem repairable. id recommend not getting the same type of drive again (lite-on DL-8ATS-12-T) perhaps upgrade to blueray to guarentee you dont get it again. 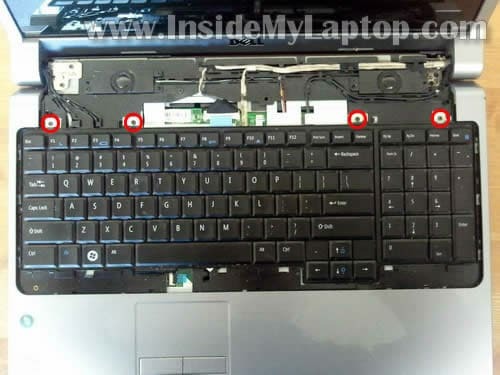 Keyboard in my laptop dell 1735 been flooded and I changed on new but no working keys b,n,space and arrows left,right and down.Now I bought another keyboard and is same but when I use usb keyboard is ok. I bought a studio 17 in 08 or 09. I5 processor 8 gig ram 1 terrabyte split in two separate 500 gig hard drives (or so they said). DVD, and some so called JBL speakers that sound like crap and shouldnt. I am on EBAY looking for spare parts for my 2800 dollar now worth 280 dollar computer, just in case of failure. I would like to have a spare motherboard like I have now, OR BETTER (I7) with minus no bells and whistles and with more if possible. Can you please tell me how to tell which subcode of this model I have. I stumbled on your site in my search. Thank You. Press F2 to get into BIOS. Here you can see your modelnumber, if the sticker is gone. Hi, My Dell Studio 1737 battery stopped charging I bought a new which is not charging either. Where the problem be? 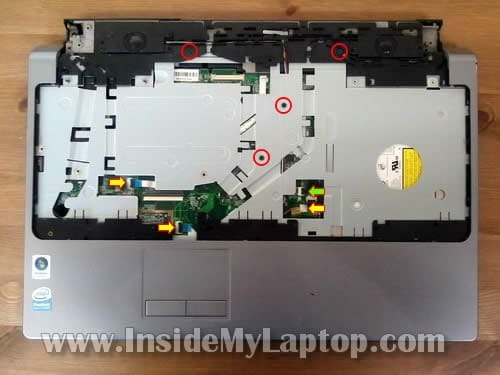 The adapter works fine when I connect to power the laptop without the battery.What power problem is affecting the new battery? It’s hard to tell what is causing the problem. You can try booting the laptop from a live Linux CD, for example Ubuntu (which is free). Test your laptop in Ubuntu. If the mouse and sound work in Ubuntu but not Windows, most likely there is a problem with Windows OS. 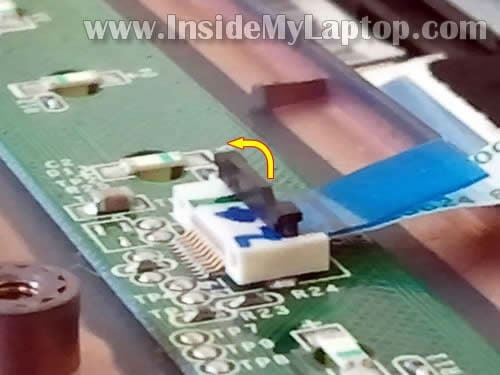 AM USING DELL INSPIRON 600M BUT IT CAN ONLY BE ON WHEN A.C OUTLET IS PLUGGED BUT NOT CHARGING . I HAVE CLEAN THE MOTHER BOARED BUT IT STILL NOT CHARGING, PLEASE WHAT CAN I DO? It’s either failed battery or there is a problem with the motherboard. I cannot tell which one is causing the problem without testing the laptop with another working battery. You’ll have to find another known good battery and test the laptop. If the problem still exists, even after you replaced the battery, this is motherboard issue. DOES DELL STILL MAKE THE 9-CELL BATTERY FOR THE S1737? WHERE CAN I GET THIS 9-CELL BATTERY AT A LOW COST, BUT WITH GOOD MANUFACTURED QUALITY?